Beirut: Mireille Girard, the United Nations Refugee Agency (UNHCR) representative in Lebanon, said on Monday that Lebanon has become much weaker after hosting a big number of Syrian refugees despite the support of the international community, local media reported. "The Lebanese economy was greatly impacted by the crisis and there is a feeling that Lebanon is on the verge of collapse. Any country facing such a big crisis will normally suffer a lot," Girard was quoted as saying by Elnashra, an online independent newspaper. Girard's remarks came during a conference held in Beirut to discuss the return of refugees and their situation in Lebanon. 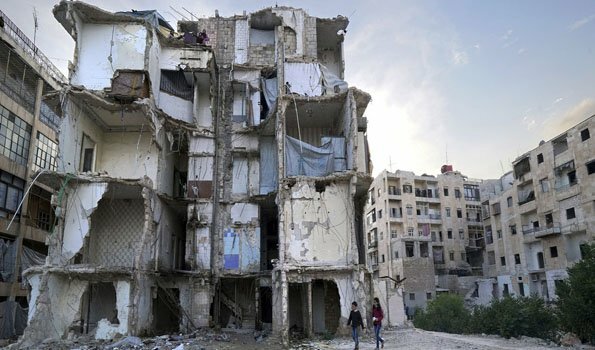 Girard said that Lebanon is still weak despite the funding that it has received from the international community to host Syrian refugees during the past few years. "Lebanon was capable of meeting some of the demands of refugees but one third of Syrian refugees' families are still under the poverty line with one third of children and 80 percent of adolescents being incapable of accessing education," she said. Girard said that donor organizations will continue to support hosting communities to reduce the negative impact of Syrian refugees.